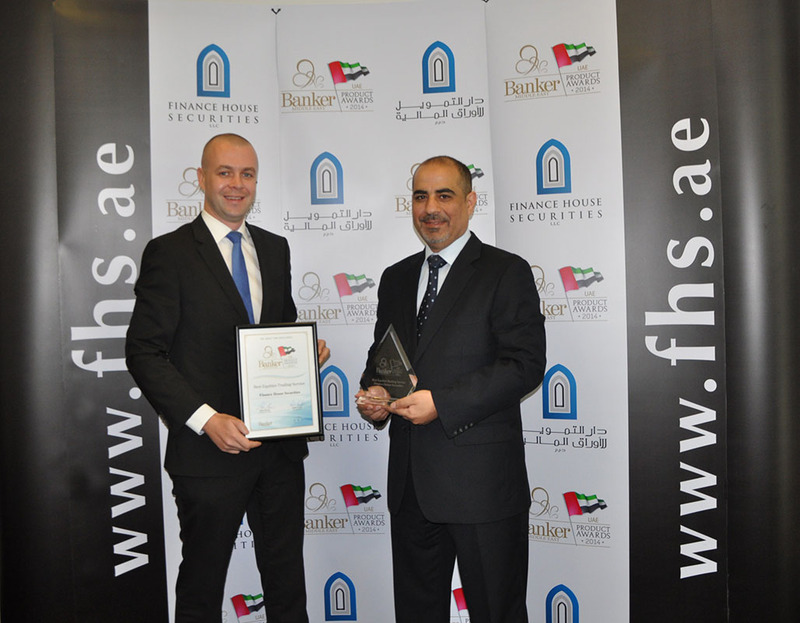 Abu Dhabi, 6 April, 2014 - Finance House Securities (FHS), announced that it has won the Best Equities Trading Services award at the Banker Middle East Product Awards ‎‎2014 – UAE Edition. Since inception, FHS has been dedicated to achieve customer satisfaction at all times, through offering unique and streamlined services that help extract great value and outstanding features. The award comes as a recognition of the commission-free online trading campaign, which allows customers who open new accounts to place orders online without paying commissions for a period of 3 months from the date of opening the account. “We strive to provide the UAE market high quality, secure, and efficient brokerage services that not only meet customers’ expectations, but also surpass them. On this occasion, I would like to thank and dedicate this achievement to our clients for their continued trust and to our professional team, for their relentless contribution to our success that helped us reach advanced positions in the UAE financial market,” concluded Al Khatib.